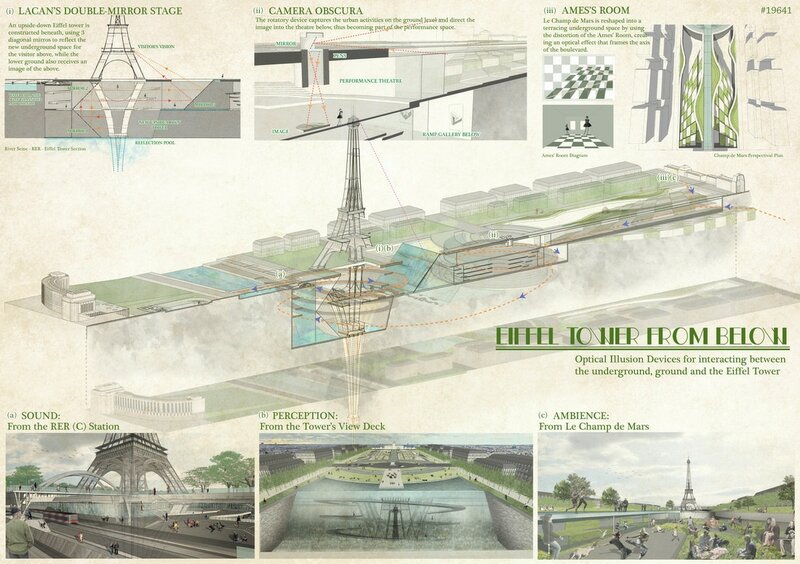 reThinking Competitions #10: What's up Paris? 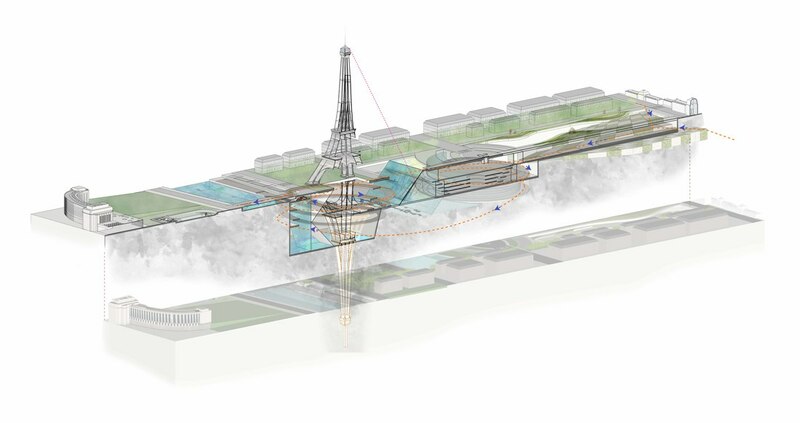 Redefining the ground of Champ de Mars, visitors will encounter optical illusions of different environmental elements: 1) sounds from the Seine and the RER; 2) juxtapositioning of the existing tower and the reflection of a newly constructed tower underground through mirrors and; 3) a new landscape that transforms into a performance theatre. By using Lacan’s Double Mirror Stage, Camera Obscura and Ames’ Room, images of the activities above ground are redirected below, forming a space that requires visitors to listen, perceive, and understand the overlapping of the Tower and its fragmented mirror-images.